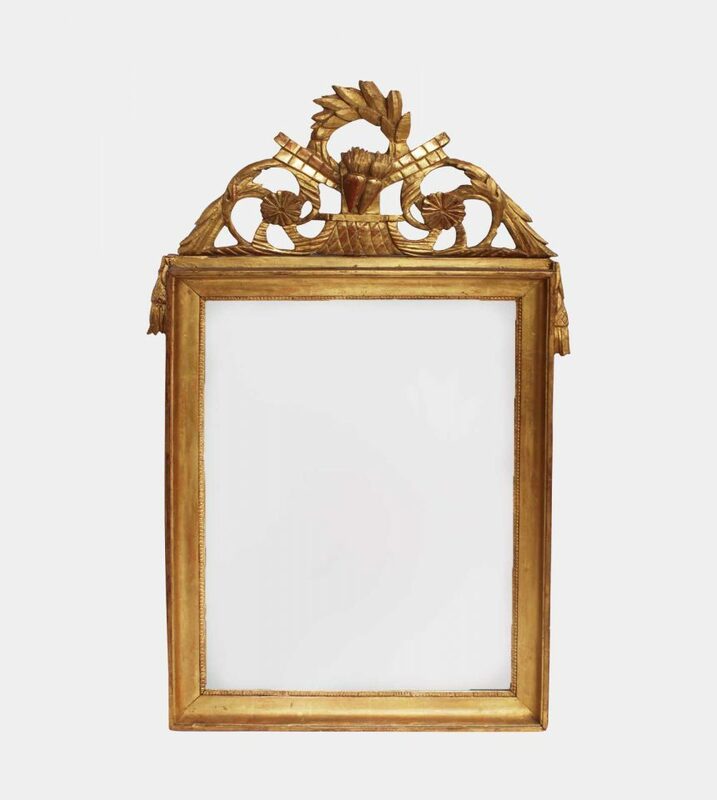 Slim and tall French carved wood wall panel mirror. Painted in creme and light blue. 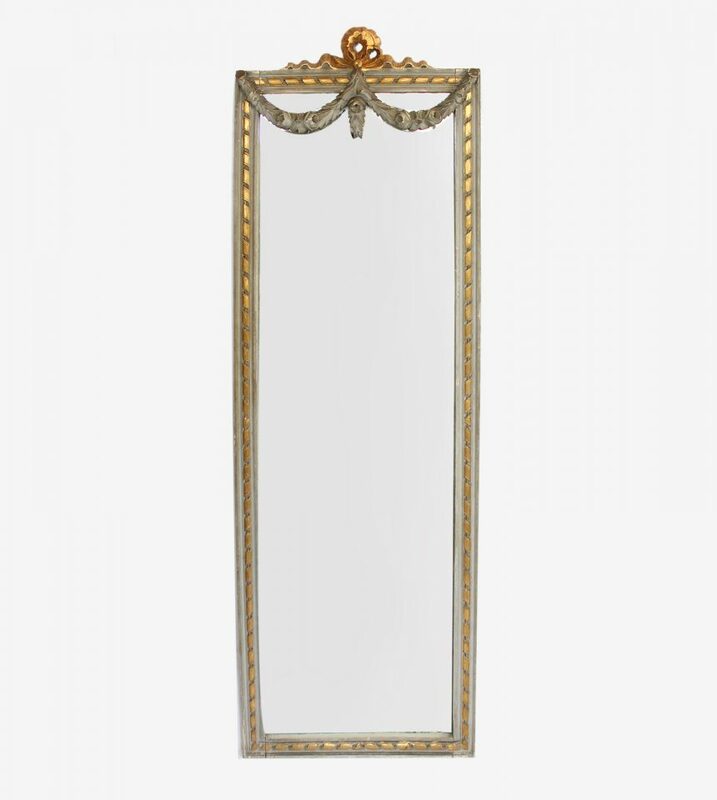 Contains the original mercury glass. Age appropriate wear. 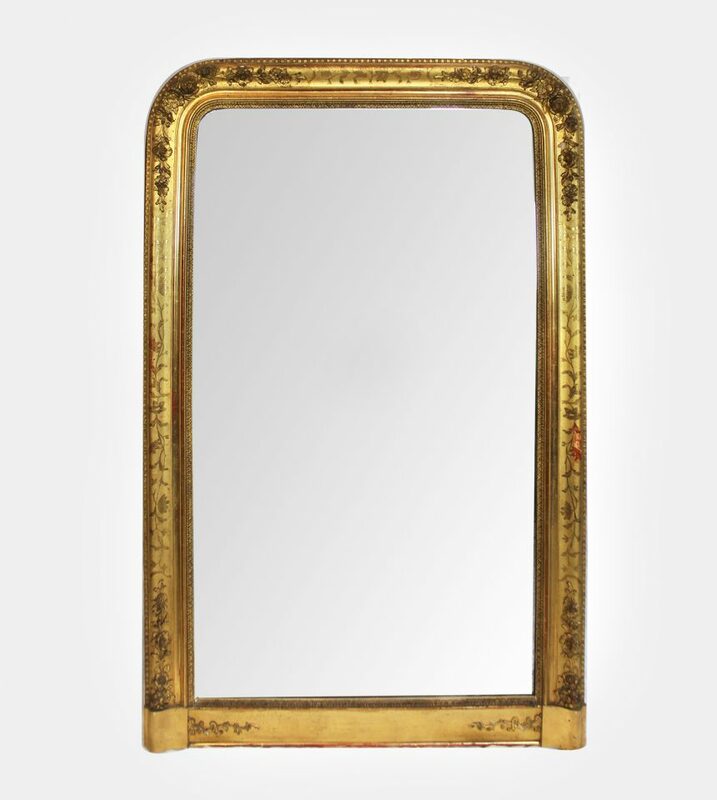 This mirror would look quite sweet within a bedroom, a powder-room, or living area. H: 220 cm. W: 88 cm.